In the current issue of Cabinet Magazine, Jackie Dee Grom introduces us to ventifacts, or "geologic formations shaped by the forces of wind." 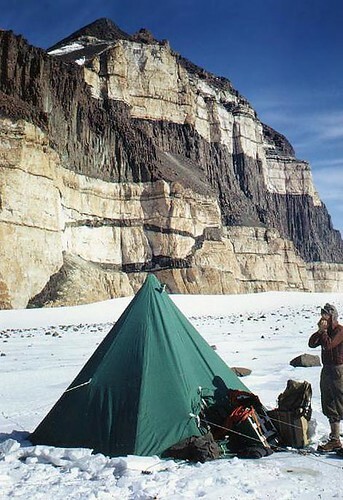 Jackie was a member of the 2004 National Science Foundation's Long-Term Ecological Research project in Antarctica, during which she took beautiful photographs of ventifactual geology – three of which were reproduced in Cabinet. (These are my own scans). 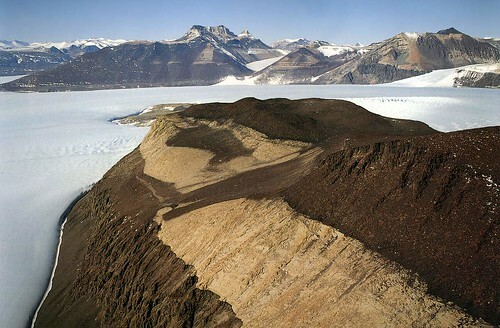 "The McMurdo Dry Valleys of Antarctica," she writes, "are home to one of the most extreme environments in the world – a polar desert blasted by ferocious winds, deprived of all but minimal rain, and beset by a mean annual temperature of negative twenty degrees Celsius." It is there, in the Antarctic Dry Valleys, that "gravity-driven winds pour off the high polar plateau, attaining speeds of up to two hundred kilometers per hour. In the grip of these aeolian forces, sand and small pebbles hurl through the air, smashing into the volcanic rocks that have fallen from the valley walls, slowly prying individual crystals from their hold, and sculpting natural masterworks over thousands of years. The multi-directional winds in this eerie and isolated wasteland create ventifacts of an exceptional nature, gouged with pits and decorated with flowing flutes and arching curves." 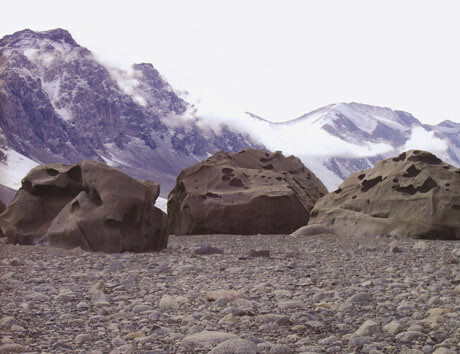 In his recent book Terra Antarctica: Looking into the Emptiest Continent, landscape theorist and travel writer of extreme natural environments William Fox describes similar such ventifacts as having been "completely hollowed out by the wind into fantastic eggshell-thin shapes." The "cavernous weathering" of multi-directional Antarctic winds – as fast as hurricanes, and filled with geologic debris – can "reduce a granite boulder the size of a couch into sand within 100,000 years." A part of me, however, can't help but re-imagine these weird and violent geologies as musical instruments in the making. You hear them before you see them, as they scream with polar tempests. 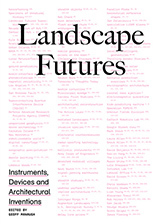 A common theme on BLDGBLOG is the idea that natural landscapes could be transformed over time into monumental sound-generation machines. I've often thought it would be well worth the effort, for instance, if – in the same way that Rome has hundreds of free public fountains to fill the water bottles of thirsty tourists – London could introduce a series of audio listening posts: iPod-friendly masts anchored like totem poles throughout the city, in Trafalgar Square, Newington Green, the nave of St. Pancras Old Church, outside the Millennium Dome. You show up with your headphones, plug them in – and the groaning, amplified, melancholic howl of church foundations and over-used roadways – the city's subterranean soundtrack, reverbed twenty-four hours a day through contact mics into the headsets of greater London – greets you in tectonic surround-sound. London Orbital, soundtracking itself in automotive drones that last whole seasons at a time. 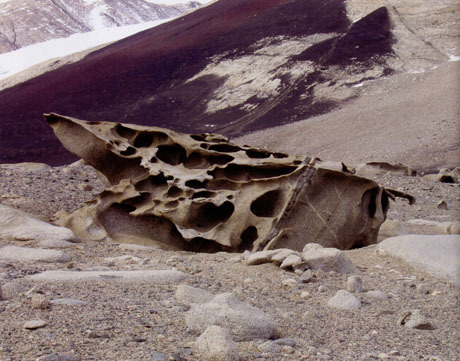 In any case, looking at photos of ventifacts I'm led to wonder if the entirety of Antarctica could slowly erode over millions of years into a musical instrument the size of a continent. The entire Transantarctic Range carved into flutes and oboes, frigid columns of air blasting like Biblical trumpets – earth tubas – into the sky. The B-flat Range. Somewhere between a Futurist noise-symphony and a Rube Goldberg device made of well-layered bedrock. Flocks of birds in Patagonia hear the valleys rumble, choked and vibrating with every inland storm, atonal chords blaring like fog horns for a thousand of miles. Valve Mountains. Global wind systems change, coiling through hundreds of miles of ventifactual canyons and coming out the other end, turned round upon themselves, playing that Antarctic instrument till it's eroded beneath the sea. In his ultimately disappointing but still wildly imaginative novella, At the Mountains of Madness, H.P. Lovecraft writes about a small Antarctic expeditionary team that stumbles upon an alien city deep in the continent's most remote glacial valleys. 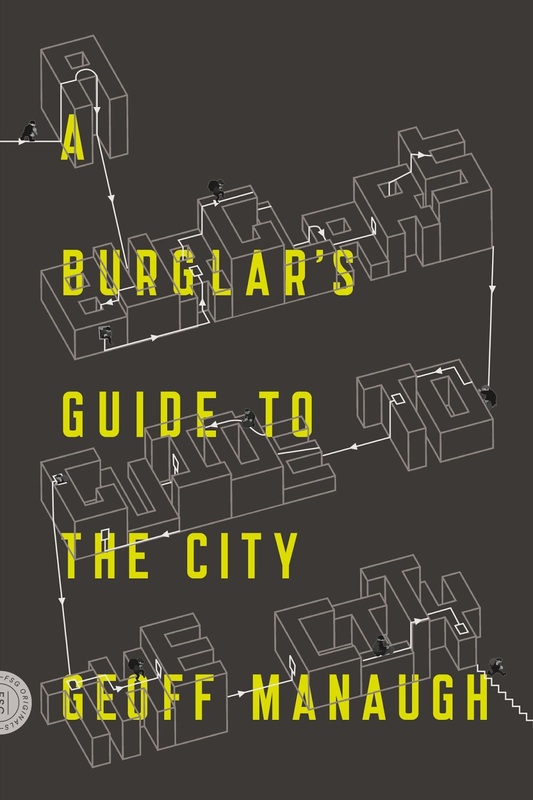 It is a city "of no architecture known to man or to human imagination, with vast aggregations of night-black masonry embodying monstrous perversions of geometrical laws." Its largest structures are "sometimes terraced or fluted, surmounted by tall cylindrical shafts here and there bulbously enlarged and often capped with tiers of thinnish scalloped disks." Even better, "[a]ll of these febrile structures seemed knit together by tubular bridges crossing from one to the other at various dizzy heights, and the implied scale of the whole was terrifying and oppressive in its sheer gigantism." [Related (and quite similar) posts: Super Reef and London Instrument – plus many more in the archive... And for something else that's also howling an eternal B-flat: "Astronomers in England have discovered a singing black hole in a distant cluster of galaxies. In the process of listening in, the team of astronomers not only heard the lowest sound waves from an object in the Universe ever detected by humans" – but they've discovered that it's singing, yes, B-flat]. "Super Reef" was the post that got me visiting here regularly. I had been intrigued years ago by the possibilities that the ancient Greeks had a much different conception of sound, hearing, and what it represents, and that all of this was grounded in a conception of nature that is today quite foreign to us. I remember once hearing about an alligator who was temporarily residing at the American Museum of Natural History off Central Park; It was during World War II and the New York Philharmonic came for a visit (I am not making this up)and when the musicians began tuning up, Oscar (That was the gator's name) suddenly began to bellow. The place being thick with musicians and scientists, somebody quickly concocted an experiment and discovered that whenever Oscar heard a sound equivalent to B minor, one octave below middle C, he roared. Something in Oscar said B-Minor was the sound of an invading alligator. Hey Ethan - It is indeed. I'll be in touch. I take it from your email address that you're still in Chapel Hill? And Helmut, glad you like the more spatio-sonic explorations I indulge in here. I hope they're not (too) repetitive. So does your theory about sound in the world of ancient Greece involve the acoustics of archipelagos...? Or what exactly is your theory there? Would be interesting to hear - fire away when ready. And Robert, the black hole is apparently singing B-flat... but the tone of the Antarctic mountain range is my own extrapolation. I don't know why I chose B-flat. Because of the black hole...? Hey its great to Jackie Grom's Cabinet piece here. I was with her in Antarctica and suggested this to Cabinet. Re your idea of the whole Antarctic continent being a vast musical instrument - it actually is. When I was there I acquired some recordings from geologists studying Mt Erubus, who have amazing seismic signals of the humungous iceberg B15 rubbing up against Ross Island. They've speeded up the wavelength into the audio bandwidth and the result is an otherworldly duet for volcano and iceberg - beautiful alien sounds reminiscent of whale song. 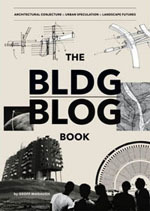 I just found this (blogging is still a mystery to me). Fascinating. My idea has always been that all things "sing", in that they put out waves - all one needs is some way to perceive those waves and translate them into what we can then perceive as sound. At any rate, are there any links to that ANtarctic and other "earth instruments" mentioned here?